Shareholders of Dutch luxury sportscar maker Spyker on Friday overwhelmingly approved its acquisition of Sweden’s Saab from General Motors. The deal got a further boost when the European Investment Bank approved a 400-million-euro loan to Saab, guaranteed by the Swedish state. “The proposal to acquire Saab was accepted by the vast majority” at an extraordinary shareholder meeting held in Zeewolde in the central Netherlands, Spyker chief executive Victor Muller told journalists via a webcast. Spyker and GM reached a deal last month for the sale of Saab for 74 million dollars (54 million euros) in cash and about 326-million-dollars’ worth of redeemable preferred shares to be retained by the American giant. 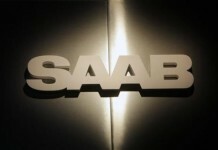 Saab’s future had been in doubt throughout 2009 as GM, going through bankruptcy, radically restructured its business and tried to sell off what it saw as non-core and unprofitable assets. In another development Friday, the European Investment Bank said it had “confirmed the authorisation to conclude the 400-million-euro (545-million-dollar) loan to Saab” and agreed that it would be guaranteed by the Swedish state, a statement said. The European Commission backed the Swedish state-guarantee earlier this month. Spyker, a minnow in the global auto industry, manufactured 21 cars in the first quarter of 2009 and sold 23 for prices starting at 199,990 euros. It has a workforce of about 90 assembly workers while Saab has 3,400 employees in Sweden alone. Spyker said earlier this month that it intended for Saab to turn a profit by 2012, requiring an investment of about a billion dollars. The Swedish company, which manufactured under 30,000 cars in 2009, hoped to increase this figure to more than 120,000, its chief executive Jan-Ake Jonsson said at the same press conference. Muller said Spyker would apply for a double listing in London and later possibly also in Stockholm, and would consider delisting from the Amsterdam stock exchange. “Having a listing in London is a much better way of getting close to investors than staying in Amsterdam,” he said. Proposals to change the new company’s name to Saab Spyker Automobiles would be discussed at the next annual general meeting in April. Muller had reiterated the finalisation of the deal would be conditional on Spyker obtaining the loan from the European Investment Bank. 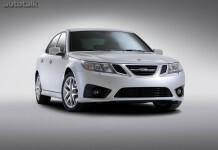 Saab Owners Get Warranty Service Once Again!